In search of the perfect beach? No, not the perfect beach resort. Just the perfect beach. Fine white sand. Crystal-clear water. Bathing-suit temperatures. An uninterrupted view of sparkling blue. Maybe even a shady spot for an afternoon nap. That’s all. Not asking for too much. Whitehaven Beach on Whitsunday Island in Australia is the perfect swath of sand. 3.7 miles of it. You’ve probably seen pictures; it’s used in almost every Down Under ad and commercial. It’s that picturesque. And its location on an uninhabited island in Whitsunday Islands National Park ensures it will remain undeveloped, despite being one of Australia’s most popular destinations. 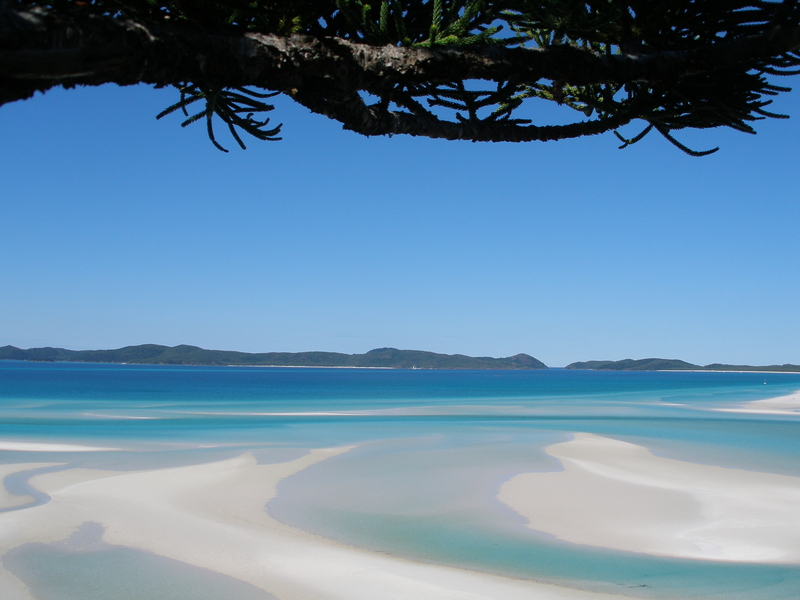 The only way to reach Whitehaven Beach is by boat. 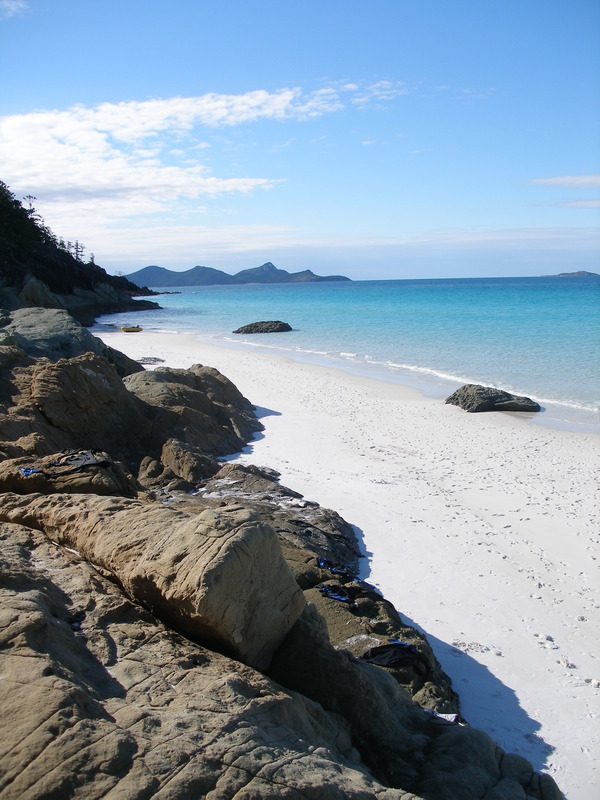 Sail over from a resort at Hamilton Island or Hook Island, or join a tour from nearby Airlie Beach on the mainland. Spend the day swimming, snorkeling, or picnicking. Hike to Tongue Point to look out over the beach. Walk to Hill Inlet–at the northern end of the island–to watch the water change colors at the turn of the tide. Try to find secluded Betty’s Beach. Find a great camping spot. Yes, this paradise can be yours, and if you’re lucky, only yours, for an entire night. There’s only a pit toilet, and no running water, but even those who swear they don’t camp can handle this.